> Why aren't you just agnostic? Why are you so sure there's no God or Higher Power? Most atheists aren't absolutely sure, and I think many people, if they think about it, will realise there's very little of which we can be absolutely sure. Humans have believed in a lot of gods over the last 10,000 years or so. We have lots of good evidence, especially for high-profile gods like Yahweh, that they are the product of human invention. Yahweh, specifically, has a history, and we can trace changes to the documents that would become the Old Testament and the New Testament, to the point that it's hard to accept that any of the writers of these collections of books really knew what they were talking about when it came to supernatural claims. 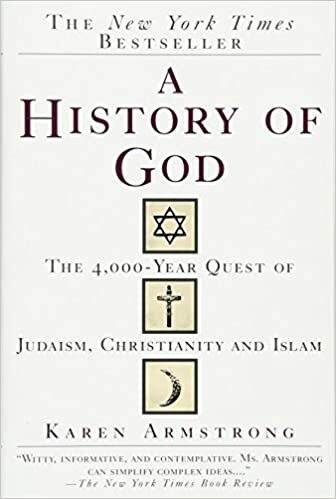 For reference, see A History of God . When it comes to deistic gods that wound up the universe and let it run, I can be less confident, simply because I have less evidence either way. I would say that, when it comes to deistic gods, I'm an agnostic atheist, whereas with gods that humans have invented, like Yahweh, I am more of a gnostic atheist. Ultimately, though, one does not need to know or be confident that no gods exist in order to be an atheist. All one needs in order to be an atheist is to not be a theist. If you took all the people in the world who say "I believe a god exists" and you put them in a big room, then everyone not in the room would be an atheist. This would include small children who do not yet have the capacity to evaluate the god-claim. Every human, when they were very young, was an atheist - being sure that no god exist isn't needed. You need to de-indoctrinate yourself. Next, learn some actual science. For example - spoiler alert: evolution is true. Visit Berkeley's excellent Understanding Evolution Website.. Or, if you're pressed for time, watch this cartoon. For good measure, use actual data and facts to learn the we are NOT living in some biblical "last days". Things have gotten remarkably better as man has progressed in knowledge. For example, watch this cartoon explaining how war is on the decline..
Another great source is the youtube series debunking 1914 being the start of the last days.